Aaron Hernandez scrawled Illuminati symbols on the wall of his prison cell in his own blood before he hanged himself, it has been claimed. The NFL star was found dead at the Souza-Baranowski Correctional Center in Massachusetts on April 19. He left suicide notes for his daughter, fiancee and gay prison lover and had also left opened his bible to John 3:16. When prison guards found him in the early hours of the morning, they also found symbols and the word Illuminati written in block capitals on the wall, WCVB reports. Hernandez had begun to draw a pyramid, a common symbol among followers of the enlightenment group, but did not finish it, the network reports. He had also drawn an oval with rays coming out of it, a symbol which is designed to represent the all-seeing eye of God. Investigators also found K2, a synthetic form of marijuana, in the star's cell. Toxicology reports carried out after his death however found no trace of the drug in his system. He also penned a letter for Kyle Kennedy, the convicted robber he grew close to behind bars. Exactly what the 27-year-old wrote in each of the notes has not been disclosed. Last week, Kennedy's lawyer said he had not yet been given his letter. WCVB also claims the star left a letter for his lawyers. 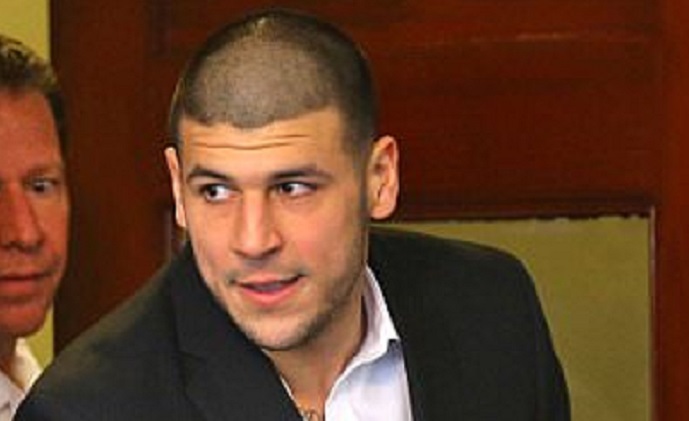 Hernandez was serving life without parole for the 2013 murder of Odin Lloyd when he killed himself. He had just been acquitted of two other killings and planned to appeal his first conviction when he died. The former New England Patriots tight end gave his family no indication he planned on taking his own life but apparently hinted at the idea to fellow inmates.